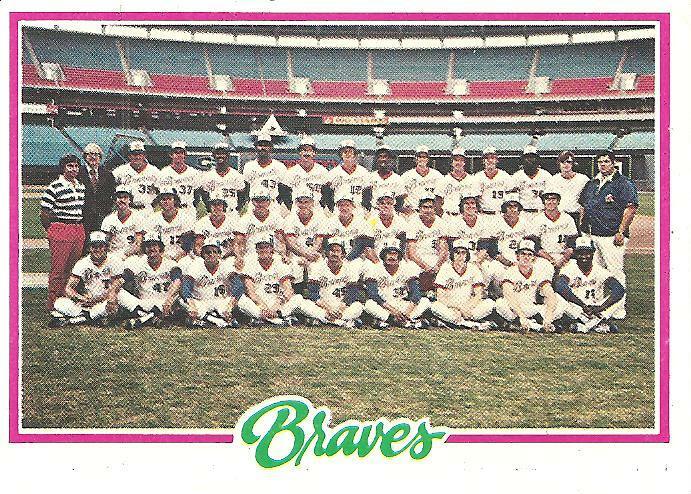 Years ago the Braves came together in an empty stadium and feigned a smiling togetherness. Afterward, they separated. Some were gone before the season even got underway. Some vanished during the season. 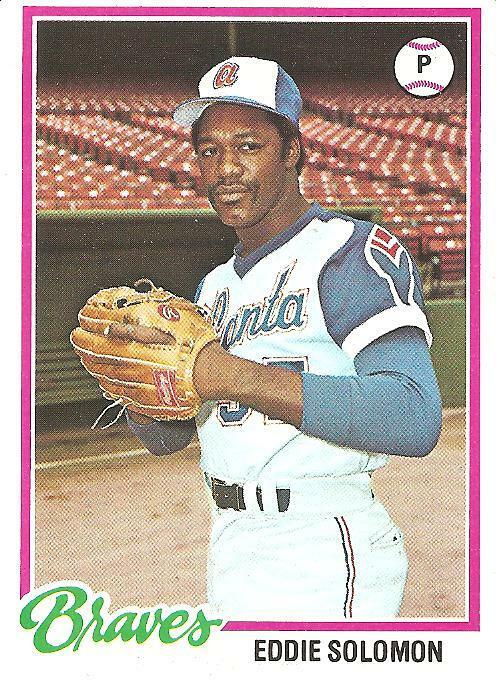 By the following year, 1979, about half the men who appeared in cardboard form as the 1978 Atlanta Braves had moved elsewhere, and by 1980 this number was halved again. When the Braves won the 1982 National League West division title, only Phil Niekro, Jerry Royster, Biff Pocoroba, Rick Camp, and Dale Murphy remained from the list of names on the back of this 1978 Atlanta Braves team checklist. 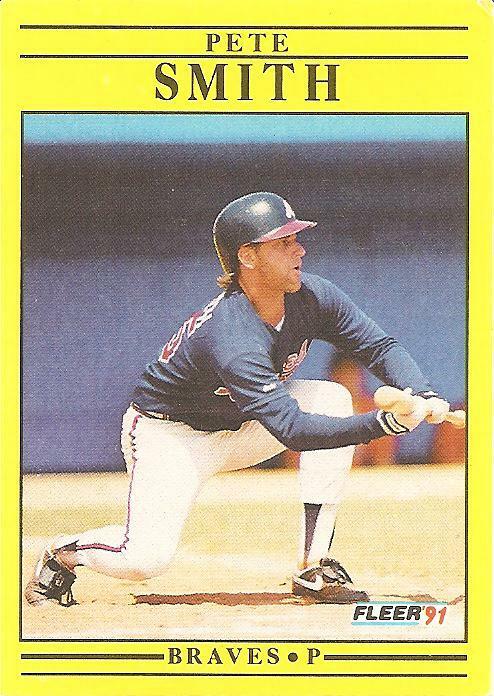 Niekro lasted just one more season before the Braves released him, though he returned to the team in 1987 after racking up the last 50 of his 318 career wins in the American League. By Niekro’s brief, winless return in 1987, only Dale Murphy remained from 1978. 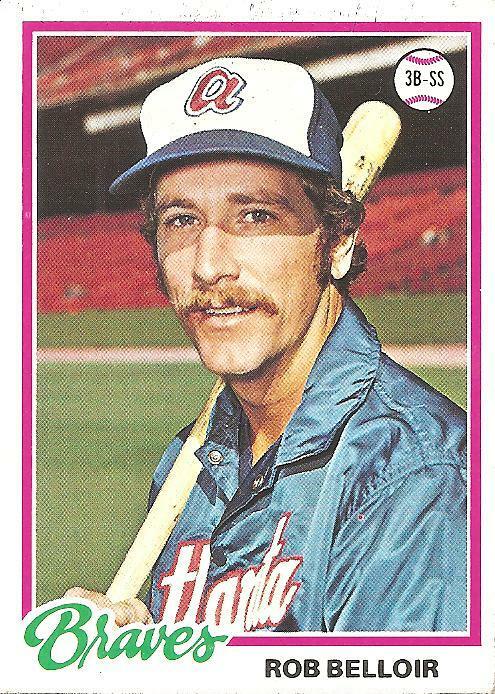 Murphy, one of the few players missing from my collection of 1978 Topps Atlanta Braves, may or may not be in the team picture featured here. The picture is grainy and dim, as if the camera used to take the shot was already infected with the pernicious amnesia that would almost immediately pull the team down into an oblivion beyond the recollection of nearly everyone among the relative few humans who ever heard of them in the first place. Could Murphy be in the front row, second from the right? Or is that a bat boy? I don’t know. Anyway, by 1987, when Niekro returned, Murphy had established himself as one of the best players in the league, a two-time MVP seemingly on a secure path to the Hall of Fame. It was his last great season, however, and after that he suddenly tapered off to merely decent for a few years, eventually moving on to the Phillies, but not before a brief reunion with his old manager, Bobby Cox, who returned to manage the Braves in 1990 and continued managing them for the next two decades before stepping down at the end of the 2010 season, his departure the last echo of 1978 finally dissolving. Everything and everyone separates and dissolves. You have no choice but to be brave. Most of life is made up of forgettable moments. Clarence Gaston, better known by his childhood nickname Cito, which he earned by bearing a resemblance to a Mexican wrestler with that name, had some moments in his life that towered above the usual range of human moments and even surpassed the reach of most major leaguers. He had some success as a player—for many years, before the arrival of Tony Gwynn, Gaston’s .318 mark in 1970 stood as the San Diego Padres’ team record for batting average—but reached the pinnacle of the sport as a manager, leading the Toronto Blue Jays to back-to-back World Series wins in 1992 and 1993. Only eight managers have ever won more World Series titles than Cito Gaston, who even ranks above his 1978 manager, future Hall of Famer Bobby Cox, in that category. 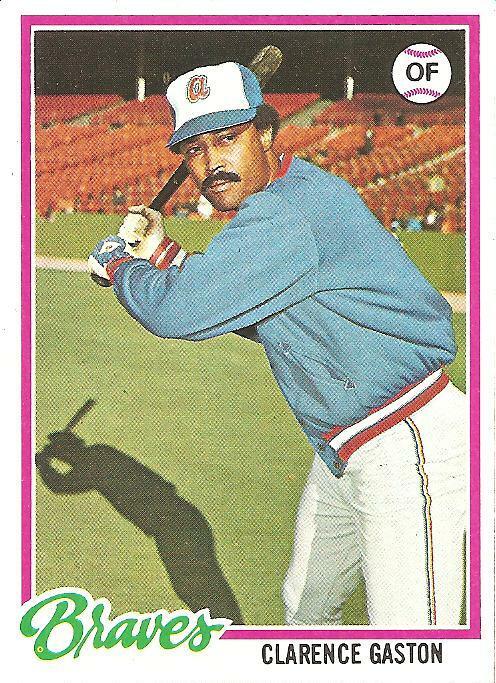 So it’s hard to imagine that Cito Gaston would remember the moment captured on this 1978 card. It was one of many days in a decade as a player in the big leagues, Gaston complying with the request of a photographer to get in his batting stance but not caring enough about trying to simulate actual game action to so much as shed his warmup jacket. The presence of the jacket, along with Gaston’s bored expression, suggests that Gaston let go of the moment forever the second he sauntered away from the harried photographer’s murmur of thanks, or even that Gaston was never really in the moment at all but was thinking ahead or back to something else, some other hypothetical moment that did not and would never exist in the way he was imagining it. The past is gone and the future isn’t here, and the present is something we often barely show up for. 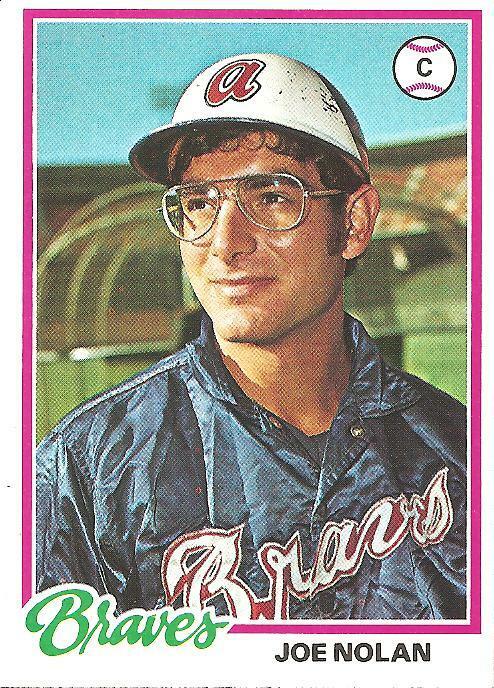 While traveling from forgettable moment to forgettable moment, we have an air of distraction, like many of the players on the 1978 set of Atlanta Braves cards. Most of these cards are like the one for Clarence Gaston, a desultory quality bordering on some kind of forfeit emanating from the cardboard like a scent of stale gum. Still, maybe there’s a trace of each of us everywhere, a kind of perfection left behind as we stumble forward, losing. I’d like to think this trace can be seen here, stretching out on the grass in dark relief beyond Clarence Gaston. A pure form, waiting. This Rob Belloir card has been sitting face-up on my desk for days. I have turned it over a couple of times, but each time I’ve placed my thumb over the right-hand side of the back of the card to cover the “Play Ball” result. Today, when I’m done writing this post, I’ll turn it over again, this time without using my thumb to cover anything. There are five options for what the “Play Ball” result could mean for the battle between Love and Hate that has been playing out on this site for nearly three years. 1. The result could be yet another Rules explanation. This would be the most disappointing result of all. I have come to like this Rob Belloir card as it’s sat face-up on my desk for days, including the day that turned out to be one of the biggest blizzards of my lifetime, and I’m hoping his role in the game between Love and Hate is not completely insignificant. 2. The result could extend the game as it currently stands, Hate leading Love with two out in the bottom of the ninth. This means that Rob Belloir’s “Play Ball” result is either a Base On Balls, a Single, or a Double (the first two options would keep Hate’s lead at two runs, while the last option would cut the lead to one). 3. The result could tie the game. For this to happen, the result on the back of Rob Belloir’s card would have to be a Triple. A double could conceivably score a runner from first with two outs, and there was even some thought that the runner on first shouldn’t even be on first, since it’s not beyond the realm of possibility for the runners to have each moved up a base on the previous play, a fly out (which, as I imagined it, was to deep right field), but I don’t want Love’s victory, if it comes, to be blurred at the edges in the climactic moment by some kind of guiding, fouling human hand. For the game to be tied, it’s got to be a triple. This is probably the most unlikely result, triples being the beautiful rarities that they are. 4. The result could end the game dramatically with Love winning. The only way for this to occur would be for Rob Belloir’s “Play Ball” result to be a home run. This is also unlikely, though maybe a better bet than the triple, especially since it seems plausible that Topps spiked the “Play Ball” game with offensive fireworks to try to bolster interest in the game (which, as it turned out, few kids ever played). 5. The result could be a game-ending out. A strike out, a fly out, a ground out. If Topps made any reasonable attempt at verisimilitude, there’s over a 70% chance that this will be the case, and the game will end, and Hate will reign victorious. Anyway, it has all come down to Rob Belloir, a turn of events that I like, or maybe even Love. Every once in a while I experience a recurring dream in which I find baseball cards of players from my youth who I somehow had never heard of. I got a flicker of that feeling when I first placed this Rob Belloir card face-up on my desk a few days ago. I have no memory of this guy, and for better or worse I’ve aimed most of the faltering resources in my memory at his habitat, 1970s baseball. Yet this habitat always finds ways to reveal itself as being more full of life than I imagined. Rob Belloir, born in Heidelberg, Germany. Rob Belloir, 8th-round draft pick of the Indians, then longtime traveler in the minors, including several years in San Antonio, where he appears to have settled down (it’s listed as his Home), his efforts interrupted by one numberless line in his statistics reading “In Military Service” (in 1971, during the downslope of the U.S. military involvement in the Vietnam War). 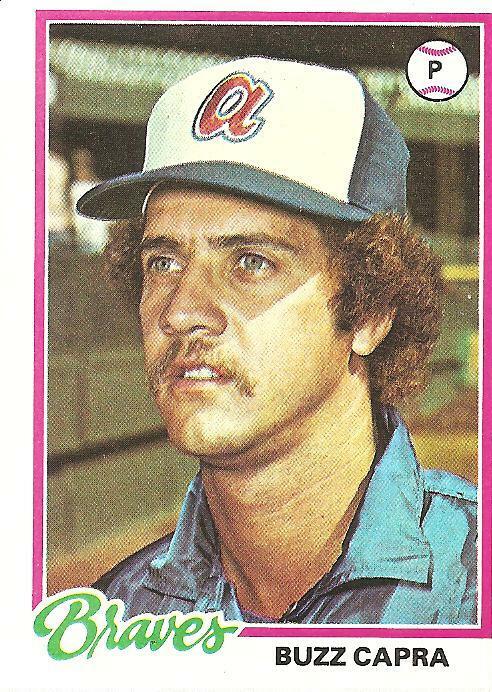 Rob Belloir, little-used major leaguer, 166 career at-bats as of 1978 with a .211 average and no home runs. (But one career triple!) So whatever happens when I turn over this card, my world is a little more alive with Rob Belloir. The picture on the front of the card seems to reflect Joe Nolan’s contentment at finding a place in the world, a useful role. He’s the leading lefty pinch-hitter. He gets good wood on ball. So it’s fitting that the other significant piece of content on the back of his card is the “Play Ball” result of the pinch-hitter for Love against Hate in the game that’s been playing out on this site for nearly three years and that is finally nearing its conclusion. Two men are on, with one out and Love down by two. There are no aesthetic details provided in the “Play Ball” game, just the result as you would see it written in a scorecard. We have to imagine the moment. I see this: The pinch-hitter connects and lifts one high and deep into the outfield. The right-fielder sprints back toward the wall. The pinch-hitter is known for getting good wood on ball. Did he get enough? Eddie Solomon was a journeyman, a major league drifter, sometimes able and other times unable to command his pitches. At the time of his 1978 card, Eddie Solomon had played for four teams in the past four years and had during his career compiled a 4.47 ERA and a 7-7 won-loss record. He’d stick with the Braves for a little while, then move on to the Pirates, then the White Sox, then, a little over three years after his career ended, at the age of 34, he would die in a car crash in Macon, Georgia. The back of Eddie Solomon’s card has an explanation of the rules of “Play Ball” on it, rather than an actual at-bat result, so the Love versus Hate game of “Play Ball” that seems to be nearing its conclusion once again must pause. A batter has just walked, putting the tying run aboard with one out in the bottom of the ninth. It’s easy enough to imagine the card of doomed Eddie Solomon presiding over this tense, fateful stoppage. The sullen manager of Hate, hands jammed in the pockets of his warmup jacket, marches to the mound to gruffly lecture his faltering closer, who after getting the first out of the inning has now surrendered a double and a walk. Due up is the ninth spot in the lineup, a pinch-hitter. A crusty left-handed batsman, a veteran who’s bounced around for years, not a great hitter but a cagey one, never latching on anywhere as an everyday player but continuing to find employment on the margins of one roster after another. He waits in the on-deck circle, attempting to loosen his creaky joints, while Hate’s manager and closer talk past one another in declarative monosyllables and obscenities. As the manager stalks back to the dugout, the pinch-hitter begins, slowly, to move toward the plate. He’s always been a slow walker on his way to the plate, this fictional character arising from the back of doomed Eddie Solomon’s card. Maybe it started because a coach once told him the struggle between pitcher and batter is all about rhythm, i.e., disrupting his while establishing your own. As his career crystallized into that of a bat for hire, he made this slow walk his would-be trademark (in truth, no one noticed him enough to really care), thinking of himself and his slow walk as an intentional irritant, like he’s a farmer pulling his tractor into traffic for no reason except to make all the drivers behind him late. If nothing else, at least I’ll annoy. But now, late in his underwhelming journeyman passage through the big time, his slow walk has evolved into something else. He has begun to walk slowly everywhere, paying attention to his movement and to the world around him, waking up to an awareness that at any moment the whole big game could end. The 1978 Atlanta Braves are a matter of inconsequential record now, all their games played, all their slim possibilities exhausted. But in cardboard form, they stand poised forever on the brink of that season. Most of them in this form are marked by signs—lackluster stats, enervated gazes, ill-advised perms—that the season to come will not go well, or even that they might not be a part of the season at all, but by their very presence in cardboard, as something to be held in the careful hands of boys from sea to shining sea, they are preserved in that slim in-breath of a moment at the center of existence: the moment of rickety hope, the moment of if and maybe. If all things break right, maybe we can contend. If everyone has the one season they were born to have, the Career Year, maybe we can be a team for the ages. If the pulse of something we love comes close enough to mesh with our own, if this feeling extends beyond something fleeting, if it becomes a hot streak such as the one that carried Buzz Capra through his one great season four years before this 1978 card (his last) appeared, if this happens to enough of us at once, maybe the 1978 Atlanta Braves will never be forgotten. If it happened once, as it did for Buzz Capra in 1974, maybe it can happen again. And if it happens again, we’ll hold on this time and never let go, no maybes about it.